I was reflecting upon the things we surround ourselves with this evening, staring around the space of my bedroom... and thinking about the material things that evoke thoughtfulness in us; the things that we react to. While I believe that mere material possessions should not matter so much as a meal, or family and friends, or good conversation, I do find it interesting to decipher the personality and story told by people's things used to decorate their inner sanctum. The study produces an odd feeling but a good one... kind of like visiting your lover's childhood home and watching them go through their bedroom closet full of posters and old photographs under mashed-up clay ashtrays, papier-mache and war figurines... you feel warm inside, like you're seeing a secretive part of them that no one else knows. For me, studying the decorative selections of people's homes is like a treasure hunt. Sometimes you don't find much, and other times you realize you are pouring through an expansive library of information. Also incredibly fun is musing upon the possible stories projected by such decorative elements and knick knacks. I tend to decorate in such a way that would suggest little tales of adventure, so of course I assume other people would to? In referring to my own sense of habitational grandeur, the definition falls somewhere along the lines of organized-woodland-artsy meets french-brit-pirate ship. My current inspirations? 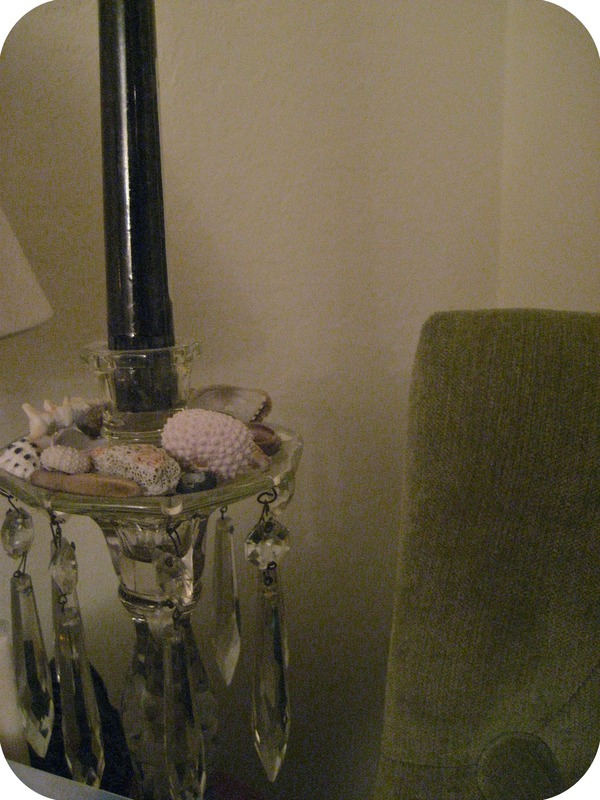 Crystal chandeliers, warm fur blankets, tufted french chairs and found island corals and nautili.